Bury vs Cambridge predictions for Tuesday’s League Two fixture at Gigg Lane. Can the Shakers bounce back after tasting defeat in the league for the first time in 2019? Continue reading below for our free tips and predictions. Prior to Saturday’s home match against Swindon, Bury looked primed for a top-three finish, though things are looking less clear-cut after they tasted defeat in the league for the first time in 2019. They remain in the automatic spots, but boss Ryan Lowe will be keen for his side to make a swift return to winning ways, which is what they have an excellent opportunity to do when they welcome a struggling Cambridge side to Gigg Lane on Tuesday evening. From an attacking point of view, Bury probably deserved to score more than once in Saturday’s game against Swindon, though their defensive antics were far from pleasing, so much so that the Shakers could have few complaints with coming off second best. No matter how good a side is going forward, if they’re going to surrender 2.63 expected goals, then they’re going to struggle to get a positive result. Fortunately, Bury haven’t made a habit of giving too much away, while they’ve certainly been reliable when it comes to creating more than their opponents. On this basis, it’s not difficult to see Lowe’s men bouncing back on Tuesday evening. Both creating chances and scoring goals is something that has seemingly come easy to Bury at Gigg Lane this season. The promotion chasers have scored a very pleasing average of 2.42 goals at home, while they’re averaging 1.99 expected goals for. Moreover, they boast an average expected goal difference of +0.96, as well as an average goal difference +1.32. When we consider Bury’s figures at home alongside the numbers posted by Cambridge on the road, it’s very easy to fear for Tuesday’s visitors, especially since the Shakers will be dying to make amends for Saturday’s defeat. 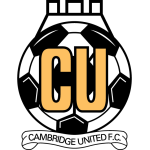 Cambridge’s last two efforts away from home have been reasonable; they held Carlisle to a draw in their most recent away match, while they beat Grimsby prior to that. However, neither of those sides are quite on Bury’s level, while many of Cambridge’s previous away efforts suggest that they’ve struggled. At times, as touched on above, the U’s have competed on the road, though they’ve also struggled to contain teams at times, conceding an average of 1.89 goals. Moreover, they’ve found it tough against some of the better sides in the division. When Tuesday’s visitors travelled to MK Dons, they shipped six goals without getting on the score-sheet, conceding 2.96 expected goals, while they’ve also conceded at least three goals away from home on five other occasions this season. Additionally, Bury clocked a positive 2.32 expected goals for (and scored twice) in the reverse of this fixture. 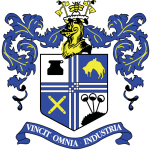 Against a Cambridge side who’ve often shown a soft under-belly on their travels, Bury have an excellent opportunity to re-find their feet in front of goal and, as the side that has scored more home goals than any other League Two team this season, they’re backed to grab it with both hands. Given Bury’s attacking profile at home, coupled with the fact that the pair are averaging 3.18 expected goals for between them in their respective home and away games, ‘Bury to Win & Over 2.5 Goals’ appears to be the best option. There’s been an average of 3.52 goals scored at Gigg Lane in League Two this season. Bury have scored more goals home goals than any other League Two team this season, as they’ve averaging 2.42 per game. At least three goals have been scored in eight of Bury’s last ten at home, seven of which the Shakers have won.